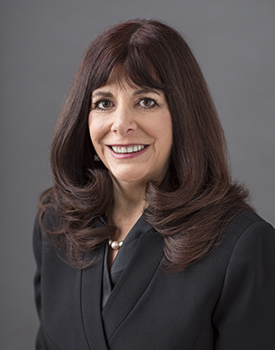 Deborah has extensive mediation and arbitration experience in insurance (disability, life, subrogation, occupier’s liability, fidelity bonds, motor vehicle, property and casualty, accident benefits, professional negligence), real estate, employment, health, and corporate/commercial matters. Deborah has 20 years of litigation experience, both in private practice and as corporate counsel, and is a member of the Law Societies of Ontario, Alberta and British Columbia. Originally from Alberta, Deborah earned her LL.M. in ADR at Osgoode Hall Law School in 1998 and her LL.B. at the University of Toronto in 1982. Deborah was a litigation lawyer in private practice in Calgary and Toronto. From 1989 through 2002, Deborah practiced as a litigator with Confederation Life Insurance Company and Manulife Financial. Since 2002, Deborah has practiced mediation and facilitated the settlement of hundreds of complex civil cases in a variety of subject matters. Deborah was a Roster Mediator for the Ontario Mandatory Mediation Program from its inception. Deborah has been a member of the Tarion Builder Arbitration Roster since 2014. Deborah was the 2007-2008 Chair of the ADR Section of the Ontario Bar Association, Vice-Chair of the ADR Section for the 2006-2007 term, and Newsletter Editor for the ADR Section from 2002 – 2005. Deborah was also on the executive of the Corporate Counsel Section of the OBA for many years. In 2007, she was on the organizing committee of the Roger Fisher Tribute. Deborah was a contributing editor, Carswell’s Practice Cases from 1991 – 1996. Deborah is a member of The Advocates’ Society, the Canadian Bar Association and the Toronto Lawyers’ Association. She is a frequent speaker and writer on mediation and litigation for the Canadian Institute and the Ontario Bar Association. Deborah operates out of the Toronto office of ADR Chambers.